156445 approaches County March Summit in the rain on 31 August 2016 with the 1Y42 06:03 Mallaig to Glasgow Queen Street ScotRail service. 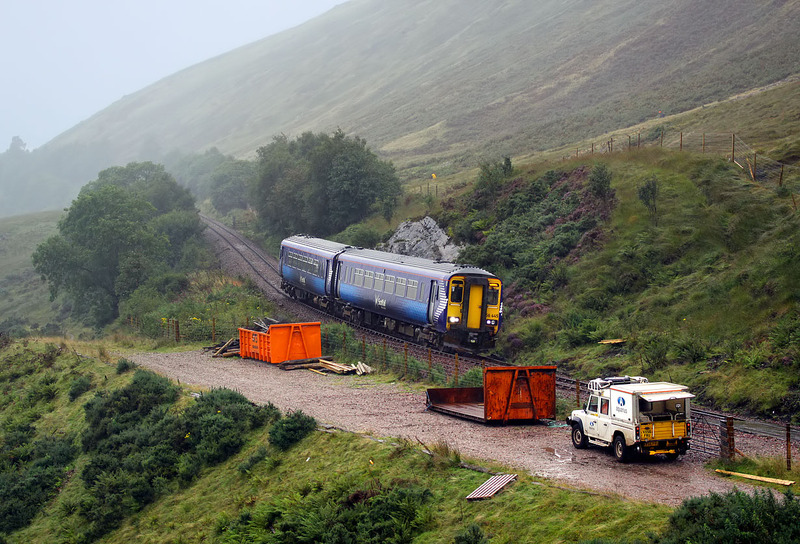 In the foreground the Aquarius Railroad Technologies Land Rover roadrailer track inspection vehicle has just arrived back from a brief trip up the line towards Tyndrum. Just after 156445 cleared the section, it went back into rail mode and headed off in the opposite direction, towards Bridge of Orchy.